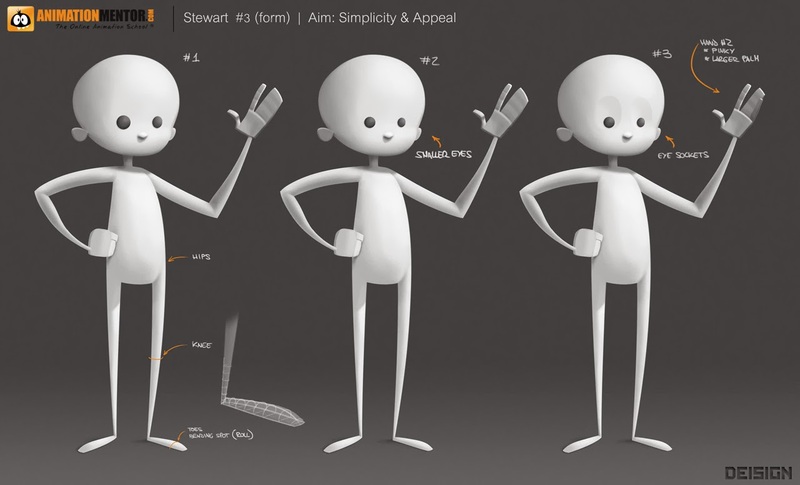 The goal behind designing Stewart, was to create a worthy updated version of Stewie (those familiar with Animation Mentor will know which rig that is). 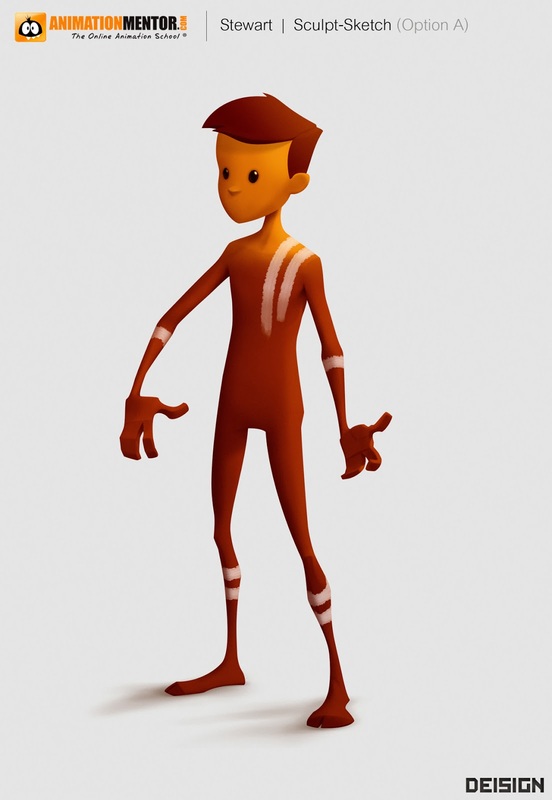 With the creation of the rest of TRIBE characters, I was able to allow myself to give Stewart more appeal and definition, while keeping him unspecific enough so as not to limit the AM students. 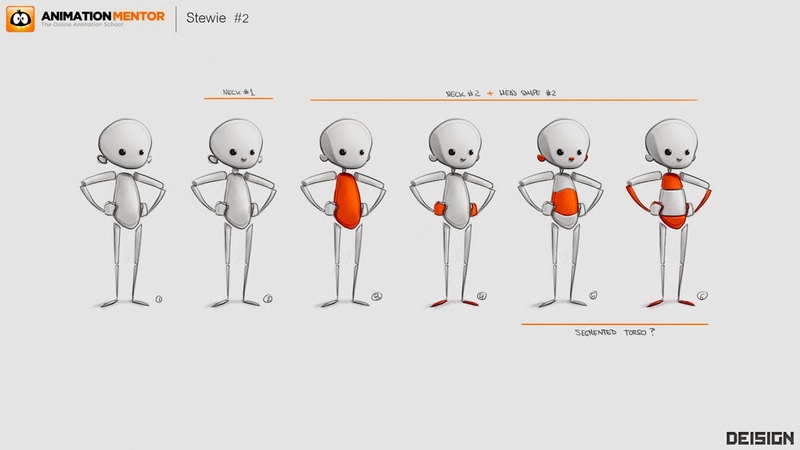 Despite my determination to design Stewart as a new and exciting character, the influence of the good old Stewie design was apparent during the beginning stages of the creative process. In fact, as you can see in these beginning stages, we were still calling our new character "Stewie". 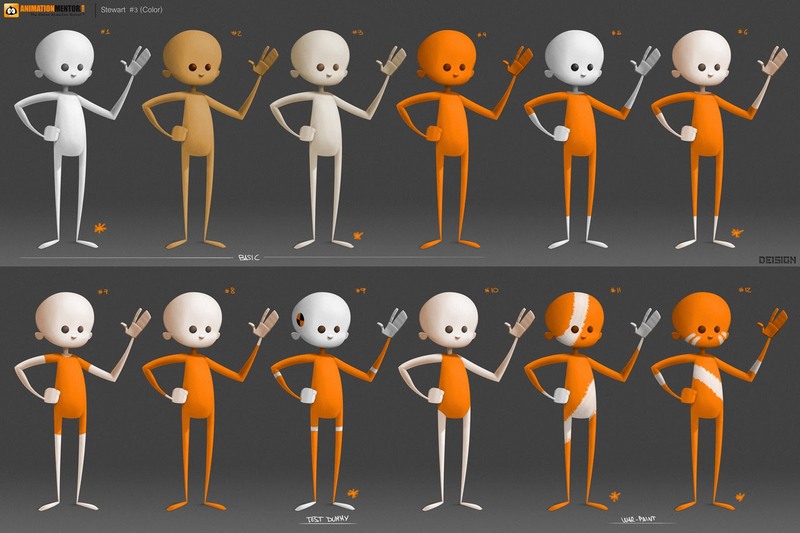 Stewart was one of the first characters I started designing, and so, in addition to working on it's shape, I also started thinking about a common look or theme for this characters: Gymnasts, Test Dummies... However, it was the warpaint versions on the image bellow that would eventually inspire the TRIBE theme. Then came a big shift. 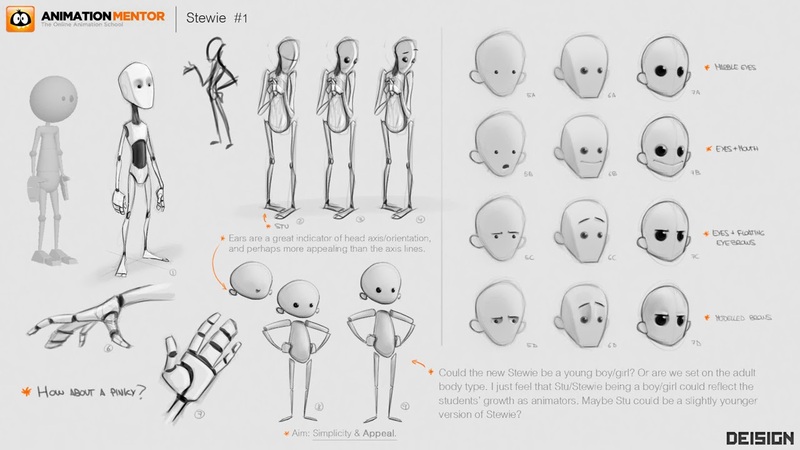 Despite a later start, Stan and Stella came together fairly quickly and they set the tone and design language for what Stewart should look like. So we scrapped all the previous work on Stewart (only salvaging the Tribe and war paint ideas) and I got to work to give Stan and Stella a young male counterpart. 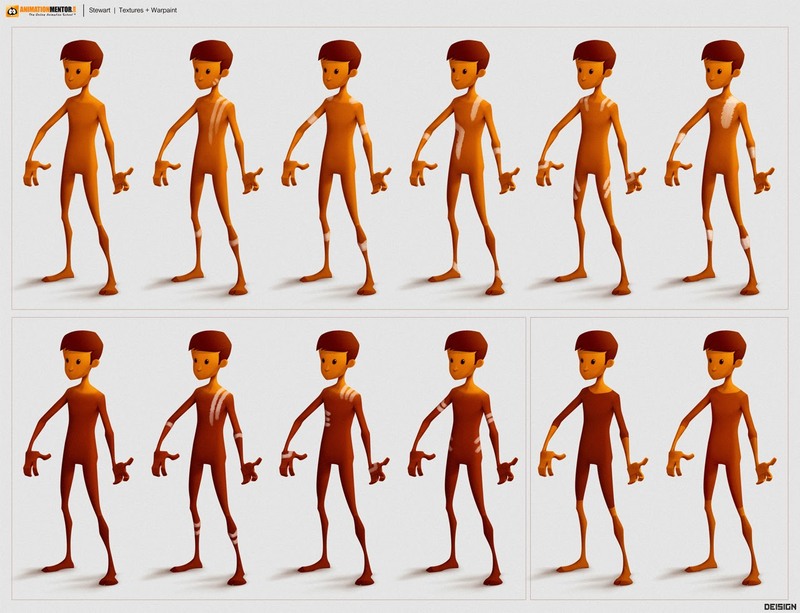 The Stewart rig is actually free for download at Animation Mentor. Check it out! I had such a blast working with you on this project and am excited to be doing it again on the next! Yeah!! Same here my man! I can't wait!